There are few things I enjoy more that getting together with my girlfriends for coffee and dessert. 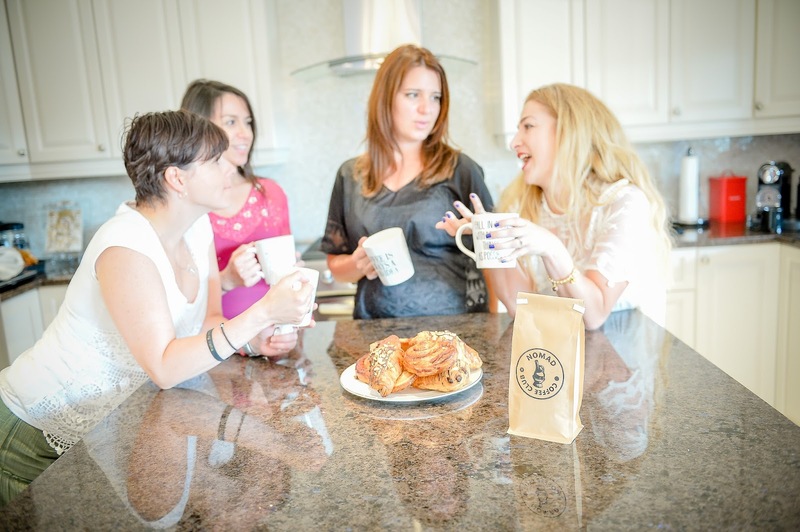 We are all coffee lovers, so throw some chocolate into the mix, many topics of conversations, too many laughs that cause an ab workout, and you have the perfect evening amongst friends. When I invited them to shoot with me for this post, I was so happy that they so graciously and lovingly agreed (you da best ladies!). I received a bag of coffee courtesy of Nomad Coffee Club to try out. 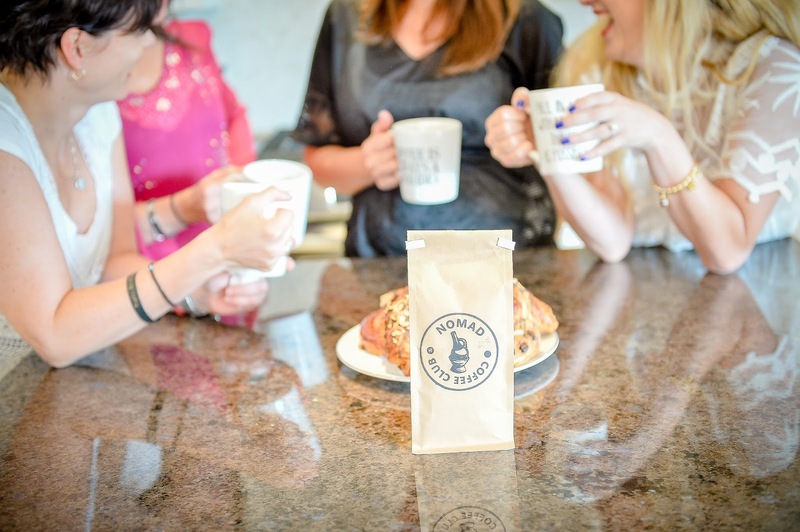 They are a monthly coffee subscription service that cater to the everyday coffee drinker by providing exceptional coffee from an independent roaster. 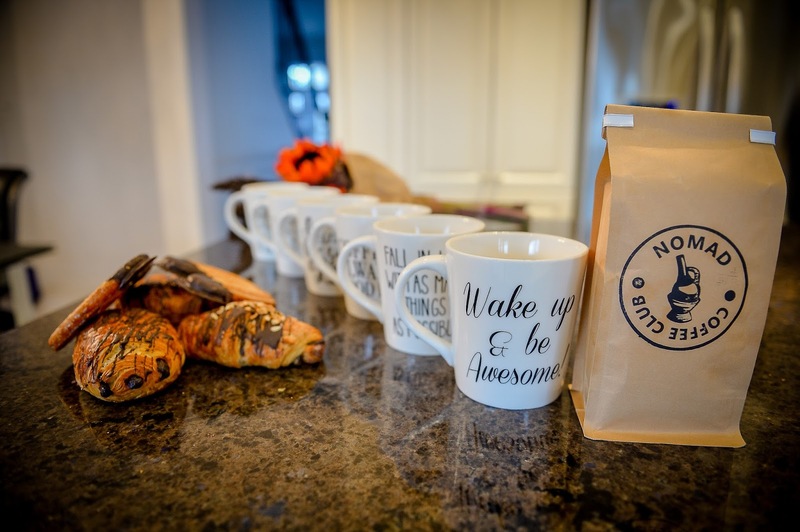 Nomad Coffee Club is a Canadian company and their mission is to bring you the best and freshest coffee from Canadian roasters every single month. As a mom, coffee is my source of energy and, if I weren't deathly afraid of needles, I would probably have an IV drip 24 hours a day. The smell when it first landed at my door was so perfect! I immediately had to brew some. It had such a rich flavor, it was bold and luxurious and didn't leave you feeling like something was missing. Kevin and I love waking up on the weekends to fresh coffee that is not our usual Tim Hortons. If you decide to sign up for your very own Nomad Coffee subscription (and I highly recommend you do), be sure to use the "somevelvetmorning" coupon code to receive $5 off! Such cute pics! I can completely relate as a mom. Making coffee is the first thing I do when I get out of bed. It's an absolute must have. Thanks for linking up for our Tuesday Fashion Party Link-Up! What a service I need haha! Man am I a sucker for coffee! This sounds like the best subscription service ever! Love me some coffee!